I hope you’ve enjoyed my posts while I’ve been babysitting the Soap Queen blog. Anne-Marie is safe at home and happily recovering from the long flight while desperately trying to adjust to our time zone. She’s at work today and looking forward to resuming blogging this week but in the meantime…. Anne-Marie and I are huge consumers of Blogs. I say ‘consume’ rather than read because reading sounds so passive and we get so excited it feels like we’re gorging ourselves at an all you can eat buffet for inspiration, projects, and pretty things to look at. We both have numerous blogs that we read everyday and the emails flying back and forth sharing favorite posts is a bit extreme at times. I thought it would be fun to share a few of my current favorites with you. My Tartlette: Beautiful photography and dainty dessert recipes. I’m excited to try her macaron recipe. ii-ne-kore: Interesting, unusual and random with a focus on Japanese design. Oh Hello Friend: An inspiration blog with lovely pictures of stuff…I just love looking at stuff. Paper Crave: All about paper from cute project ideas to adorable letter press cards to neat origami creations. Something’s Hiding in Here: I just love their style and their loft apartment – so cool! Tipnut: They always have great, succinct round-ups of useful projects and ideas from all over the net. 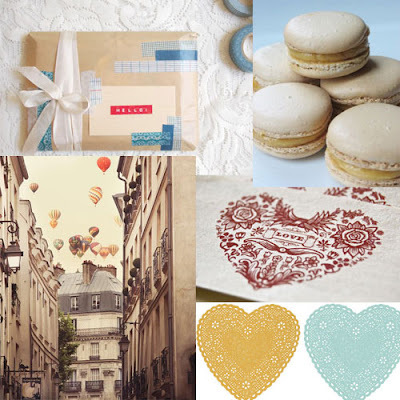 Twig and Thistle: Another gorgeous design blog with a heavy leaning towards pretty paper things. Chocolate and Zucchini: This cute blog satisfies the francophile in me. Her photos are gorgeous and I love trying out her recipes. Decor8: Design blog based out of Germany that I love for the photos and colors. I love when people with similar interests to me post their favourite blogs or sites – I always notice that I love the sites and blogs that they have posted too. Being relatively new to the blogzone and sparser in actually posting to mine – I often find myself wanting to find other bloggers but have no idea where or what to search. I love it when you all recommend something! I have found some of my favourite blogs like that. I am already in love with http://ii-ne-kore.blogspot.com/ – such loveliness!! Thanks for sharing with us. Carol – I'm so glad I'm not the only one! I love that phrase "consume rather than read blogs". That really describes it for me too!